Almost everyone gets their nerves stuck when they understand that their Computer has been hacked! It’s a common expression too – computer hacking, for that matter. It doesn’t sound good when an intruder has access to your PC, does it? While a common expression is there, most people lack the idea of what should be done next. That is, most of us don’t know what to do after a computer is hacked. Unlike what you think, a system formatting is not really perfect though it can be the ultimate, start-from-the-beginning solution. But the question is, is it possible to offer the maximum protection to your PC after it is hacked? The short answer is YES. With some fine and effective steps, you will be able to retrieve access to your device and data. In some cases, there might be some damages, but that’s nothing compared to having no access to the entire system. Keeping all these aspects in mind, we have created a complete guide to avoiding computer hacking. We’ve tried our best to make the guide comprehensive, but there may still be some areas that need to be expanded. Nevertheless, it would be an easy way to understand and deal with computer hacking attacks. Shall we start, then? This is perhaps the most important thing to do after your computer has been compromised, in any way. We first need to understand whether there’s a compromise, right? It can be a tough task at times, because most of malware are known for their stealth working processes. That is, even if your system has been hacked, you may not understand through just looking. Therefore, we need to look for some subtle signs and issues to get an idea about a possible hacking attack. Do you know the purpose of most Computer hacking attacks? Primarily, it’s for having unauthorized access to your computer, its data and even accessories. The attacker may try to use your hardware resources, take all your files or even utilize the connected accessories for his/her monetary benefits. Mostly, hacked devices are used as the pawns for DDoS attacks. It means that your computer will be used as a networked device to send thousands of requests to a particular website and turn it down. Just like this, the possibilities of computer hacking are way too extensive. Regardless of the purpose, attacks can pose huge threats to your privacy and data safety. You may even end up having everything encrypted in the system if there were some ransomware attacks too. For the time being, let’s keep things simple. You can almost confirm the presence of a hacking attack if you find the following symptoms while using your PC. Not all of them may not be present, but the presence of multiple symptoms should enhance your doubt. Your computer becomes slowed down like hell, no matter what you’re doing. You start seeing different home pages and search engines in your web browser. Files are being edited without your knowledge, on a regular basis. There is an extremely huge amount of Internet traffic happening. Even when you haven’t opened any apps, you may end up losing GBs of data. You start seeing so many ads, pop-ups and toolbars inside your PC UI. Most of them would lead you to malicious websites and inappropriate content. New programs especially small ones get installed in your device, eating up resources and space. There may be some unauthorized changes or updates on your social media pages and profiles. Some of them may have been revoked, but they keep happening. So, as we said, if you spot more than one of these symptoms, you can confirm your doubt about computer hacking. In that case, you should follow the steps we have given below. The list consists of many things you should check and do after confirming a computer hacking attack. It does not matter whether it was an online hacking attack or not. Once your system has been infected, the attacker will be using your Internet resources to get his/her purposes fulfilled. This is why you should disconnect your device from the Internet once you think the computer is hacked. This step will protect you from many threats and after-effects. First of all, the attacker cannot have remote access to your PC or your data. It saves you from a lot of troubles, you know. For example, the person will not have access to your online profiles or confidential data. On top of all these, you can prevent the further spreading of threats. According to the common nature of malware, once the system has been hacked, more and more kinds of malware keep pouring in. They may include spyware, ransomware, adware and a lot more. All these threats get installed in your computer and start using the resources. So, by simply disconnecting your device, you’d protect yourself from online consequences and further spreading of threats. Moreover, because you are not using Internet, there is no way the malware can get your passwords or other information, for that matter. The earlier step was supposed to prevent the malware from causing other trouble, right? Well, the medium was mainly online. 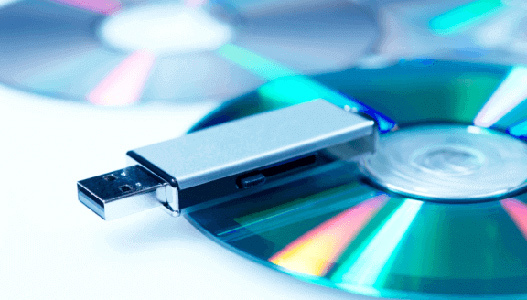 Some malware are also powerful enough to spread themselves through offline mediums, such as USB Drives and CDs. So, for the good of your own and others, you should disconnect almost all those accessories from your device. More importantly, don’t share data with your friends using a USB Drive. It also makes sense to deactivate other accessories like printers, microphones etc. too, because attackers may try to tamper with those devices. Things can become worse if you have networked devices. For instance, if your computer has, by any chance, been networked with others, you should plug off the cables. 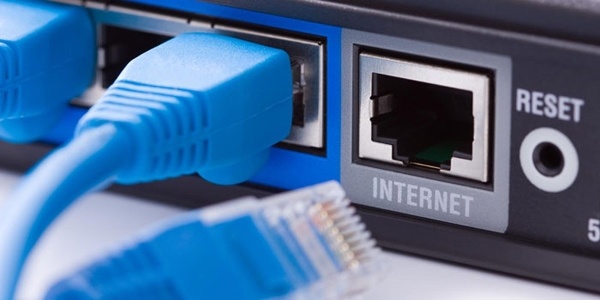 This will reduce the chances of that malware being spread through local connection. One thing to be noted here is that you are protecting not only yours but also the other potential systems that can be attacked. In other words, as far as overall security is the top concern, it’s better to run your computer with the basic level of equipment. You may relate the term to something that has to deal with ‘accounts’, but that’s not the case. As far as your PC is concerned, the term hacking means unauthorized access and it’s done with the help of some malware. In most cases, Trojan Horse malware are used for this purpose. So, the first possible method of dealing with a hacking attack is to scan and remove the malware from your device. You might have already been running an antivirus program in the device, but, now that you have been hacked, you need something better. There are two choices when it comes to scanning your computer for malware. The first one is obvious — you can use a traditional antivirus program that claims to take care of all types of threats. However, be sure that you are using a paid antivirus program and not something free. The second option is a bit more powerful if you think about it — you can use a dedicated anti-malware and malware removal program for PCs. Some do prefer using both the programs simultaneously for better results, but that’s your choice. If you ask us, we would recommend the use of a paid anti-malware program, something like Malwarebytes. This way, you can find out the possible malware threats in your computer, including adware, spyware, Trojan horse viruses and a lot more. If we take Malwarebytes, it offers multiple advantages, because the program is also made to remove malware from your computer, thanks to the powerful algorithms in use. So, in quite an ideal situation, you can have one of these anti-malware programs and try to clean your PC. It needs to be noted that all these methods work only if you have actual access to your computer. You can even try scanning your system with multiple anti-malware tools, but, then, the best premium tool is enough for your purposes. At the end of this process, you will have an idea what and how has infected the system. Of course, you don’t want to lose all your data. But, you need to use your discretion here. There are some areas that malware commonly focus on. For instance, they take care of your My Documents and Downloads folder. If you have some important files in these folders, you better forget about them. Or, it is possible to back those files up after a thorough scanning using an anti-malware or antivirus program but that’s your own risk. Ideally speaking, you should not try to open or back up files from potentially-vulnerable and infected areas of your computer. Just keep this in mind if you are about to take the back-ups. Now, to the real scene. As far as backups are concerned, you should get a clean drive to store your backups. Here, you have two options. The first one is to manually scan for malware and back up individual files. Or, if you think the system hasn’t been compromised to a dangerous extent, you can use some backup software. Either way, make sure that you have the essential information with you, in a safe drive. We suggest the use of DVDs instead of USB, for obvious reasons. Regardless the type of media you use, make sure that the drive is completely safe and free of malware. Some people believe that scanning and removing malware from the device is enough for ultimate protection, but it is not. There may still be some malware contents present on the device. As if they are not enough, the attack may have made some serious damage to the OS and software. For instance, you can easily spot some registry errors and other threats in an instant. To remove all these issues and start afresh, you can follow the steps we’ll cover below. There are two methods to do this. The first method, you can format the drive separately and do OS installation after that. The second option, you can load the OS disc and format the drives during the installation. In both cases, the files of the drives should be cleaned thoroughly. Therefore, if you are expecting the topmost level of efficiency, we recommend cleaning the drive using a dedicated Disk Wiping utility. 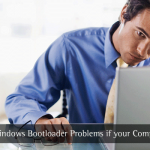 If you cannot find the right resources to do that, you can proceed with OS reinstallation. Depending on the OS you like, you can proceed with the installation. Make sure that you format all the drives you think were infected by the attack. At the end of the installation, you would have a kind of fresh PC to go ahead. 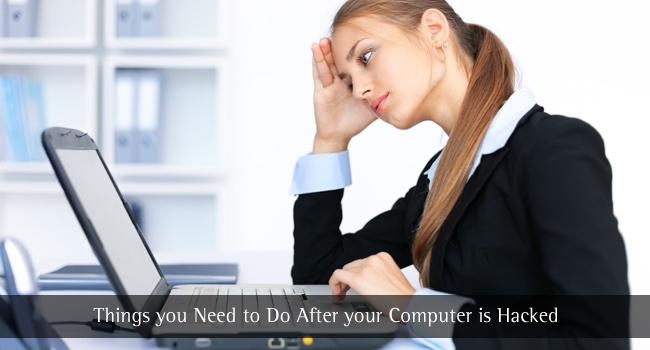 However, there are a few things to do before you start using the computer as such. To ensure the best security and prevent such kind of hacking attacks in the future, you can try the following steps. After installing the OS, update it to the latest version. This will prevent you from major attacks in the malware industry. Make sure that you install an antivirus and anti-malware program in your system. We recommend going for premium security suites, because free antivirus programs cause more harm than good. Before you restore the file backups you had taken, scan them thoroughly with an anti-malware suite. 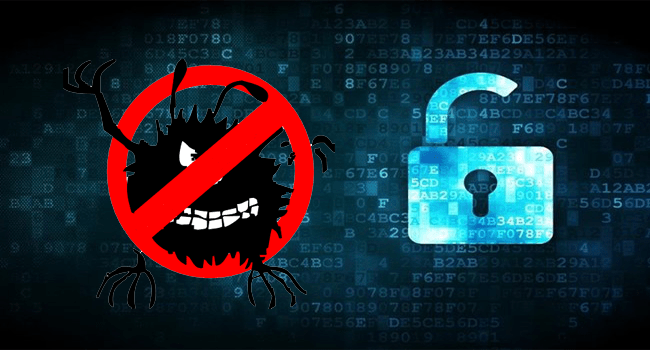 If there are some malware that managed to get into the backup, you can prevent them from spoiling your new system. Enable Windows Firewall or you can even go for a third-party firewall. This is quite necessary if you’re using a lot of network devices. In Windows, there is an option to create a System Restore point. This is a kind of backup for system settings. Create a System Restore point in the fresh state. So, if there are some attacks in the future, you can easily roll back to this safe state. You should do a security audit for your online accounts. Best if you can change all the passwords. We hope this is a comprehensive guide to follow if your computer is hacked. The core idea of the first steps is to prevent unauthorized access so that your device and data are posed to lesser threats. That having said, the next steps will help you have a kind of fresh PC, without any malware in it. No matter how skillfully you follow these steps, there’s always a catch: absolute security is a myth. 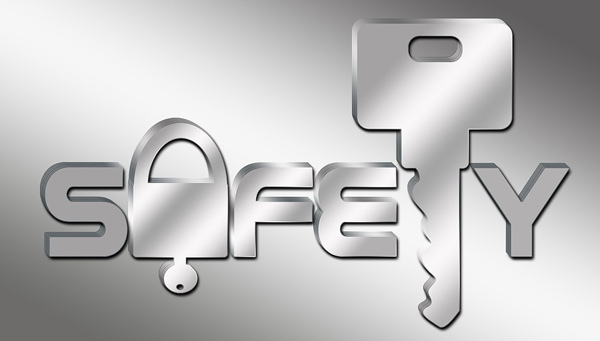 And you need to keep following some security habits and tips for the best safety of your device. For instance, you cannot justify the act of getting software from pirated software or downloading that free-editing-software stuff from the web. As much as you can blame the new techniques of attacks, you should criticize your lack of security practices as well. We hope this guide helps. Do you have any questions regarding the steps or tips? Do let us know through comments. Don’t just go and look for the crack of your desired software, Now I don’t recommend getting cracks.I appreciate buying the original products from the real owner, However, if you want cracks or smth go get it from a trusted website.Cause there are many websites which inject malware through the cracks. Hey Dip, thanks for the insight :) It’s a great tip. I wanna add a side note. Most of the time, the average person thinks that he got hacked, while in reality, he only installed some kind of malware. Which means that a scan with an Anti-Malware will fix the problem in a matter of minutes. Do understand that hackers have absolutely no reason to spend time and effort to hack you, me, or anyone who is just your average user. It’s just not worth it.